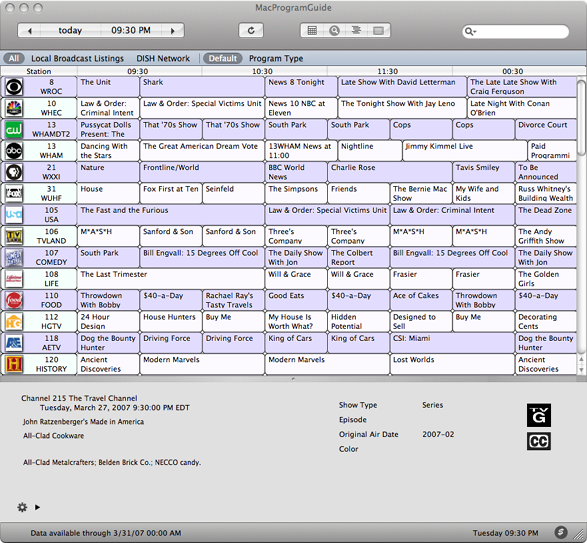 MacProgramGuide presents data using a familiar grid style interface, as shown here. Looking for a certain program? 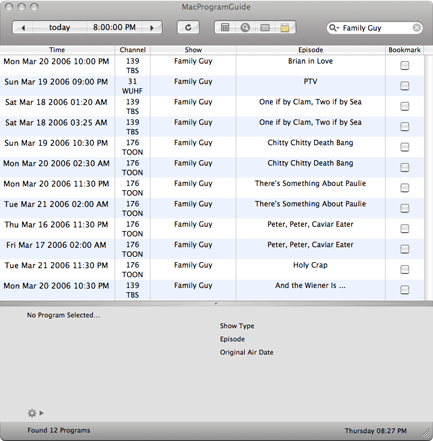 No problem, just type the name of the program into the search box and MacProgramGuide does the rest. Here's the search screen in action. What are you waiting for? Download MacProgramGuide Now!